Son of Phinehas and grandson of Eli. Born after the death in battle of his father and the tragic death of his grandfather, he was named "Ichabod" ( = particle of negation; = "glory") by his dying mother, who exclaimed at the same time, "The glory is departed from Israel" (I Sam. iv. 14-22). Thus, his very name embodied a memorial of a great battle which resulted disastrously for Israel. 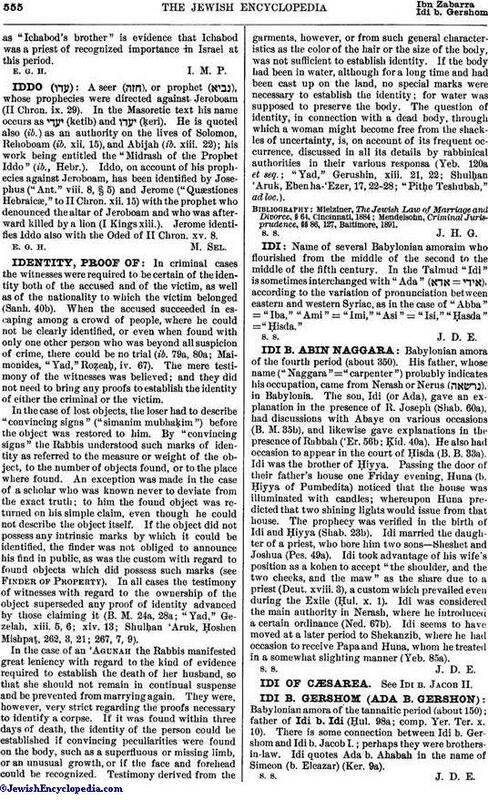 The Septuagint rendering of "Ichabod"—"wo to the glory of Israel "—points to a similar origin ( = "wo"; comp. Eccl. x. 16). The name occurs but once besides, in I Sam. xiv. 3, where Ahijah, son of Ahitub, Ichabod's (evidently elder) brother, is mentioned as a priest. 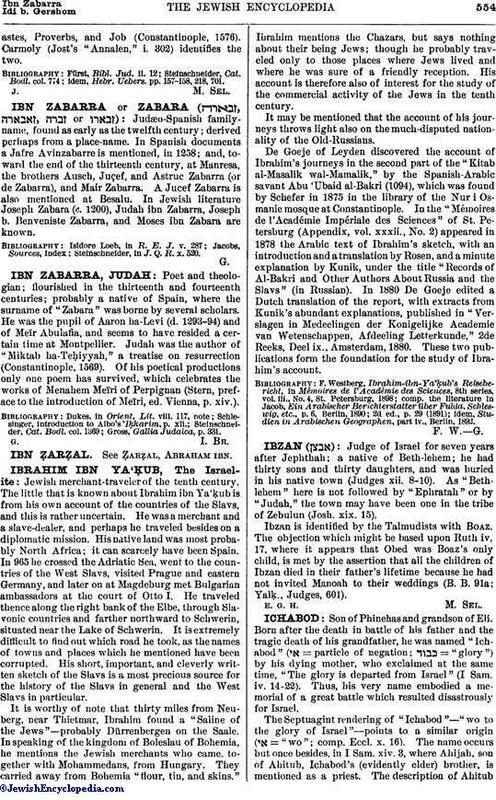 The description of Ahitubas "Ichabod's brother" is evidence that Ichabod was a priest of recognized importance in Israel at this period.